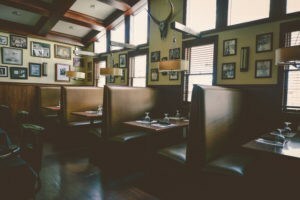 Looking for a place to get great steaks, chops, seafood or Italian specialty meals in Slinger? 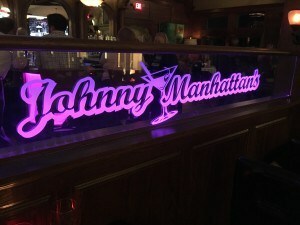 Look no further than Johnny Manhattan’s Italian Steakhouse! We are just a few miles east of Holy Hill and Erin Hills Golf Course, right by Kettle Hills Golf Course. We are your perfect stop for dinner after enjoying these, or any of the beautiful hiking trails in the area, or after boating on Friess Lake. Come enjoy the beauty of the Kettle Moraine in Slinger and top off your day with an exquisite meal prepared by our master chefs. Enjoy our steaks, ribs, chops, or any of our evening specials. If you are craving Italian, we have our homemade lasagna, ragu alla bolognese, and our famous speidini is on our nightly menu! Paired with any of our appetizers, such as our escargot, shrimp coctail, or calamari, and one of our signature drinks like Johnny’s Manhattan, or an espresso martini. Let Johnny Manhattan’s serve you a meal you won’t forget! Call Johnny Manhattan’s at (262) 628-7700 today for your reservations! Johnny Manhattan's. All Rights Reserved. Nearby Cities: Richfield · Germantown · Sussex · Hartford · Slinger · Jackson · Menomonee Falls | Website Created By: One Click Inc.